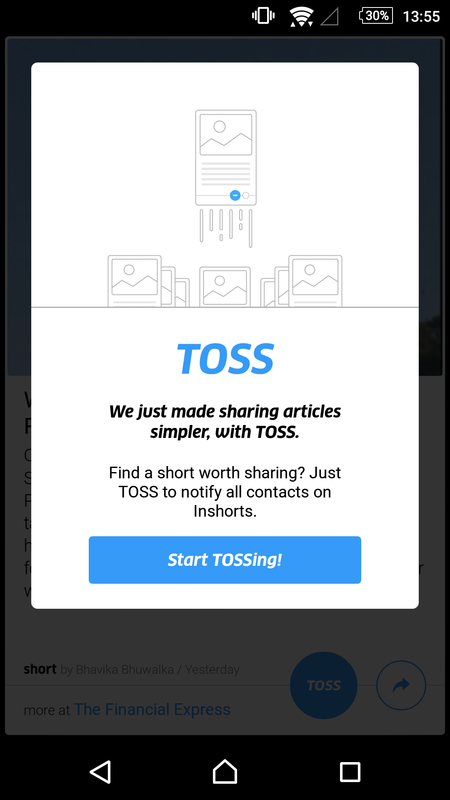 Aiming to democratise the news world by shifting the power of notification from newsrooms to the people, today we are launching TOSS - a social notification feature. 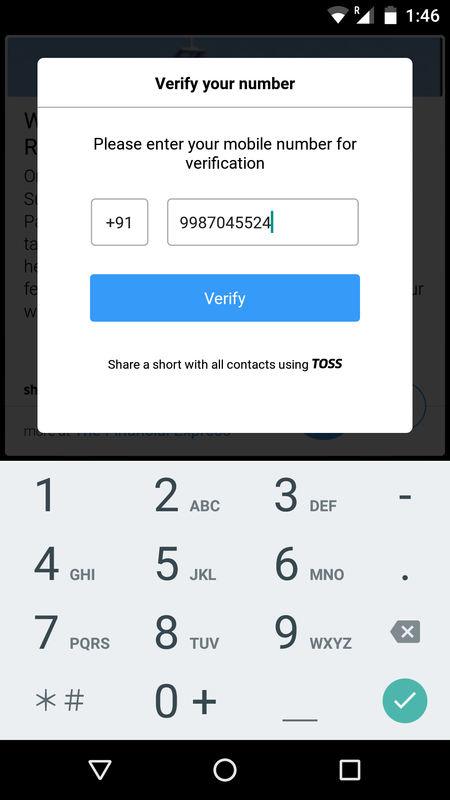 Toss allows users of Inshorts to send notification to other users of Inshorts in their contacts list. 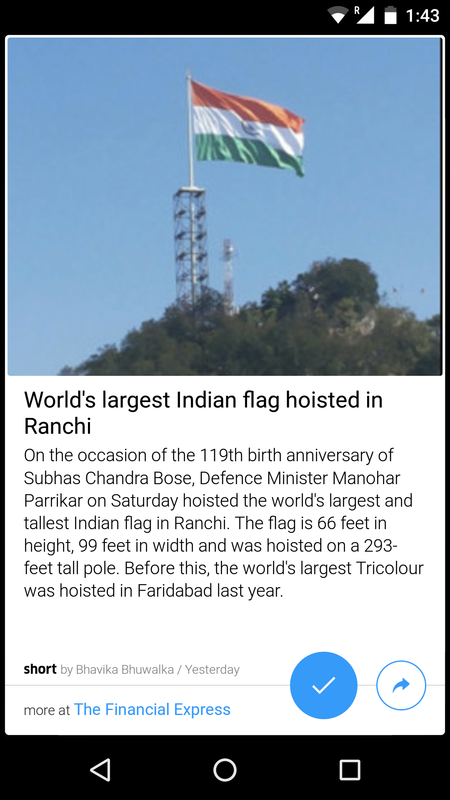 The feature is currently available on Android only and will be rolled out in iOS soon. You are good to go! Start TOSSing now!